We stock in excess of 160 different styles of plastic pallets, from lightweight and one-trip pallets, nestable and stacking plastic pallets, to hygienic plastic pallets for pharmaceutical use and heavy duty, multi use pallets, in both recycled and virgin materials. Each plastic pallet within our range has been selected for its combination of quality, durability and value. Over 96% of our plastic pallets are made from recycled household and business plastic waste, which means that we are leading the way when it comes to sustainable, multi-use, recycled plastic pallets and an environmentally conscious supply chain. Stocking a wide range of plastic pallets, used in diverse applications, allows us to meet the requirements of all customers. 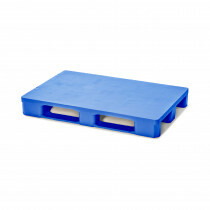 Our plastic pallets are available for immediate, next day delivery! Browse our plastic pallets by style or by size, use the chat function below or call us on +44 (0)1323 744057 and speak to a member of the team today. 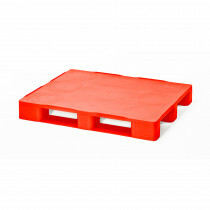 A nestable, lightweight and strong plastic pallet. Whether you have been using plastic pallets for years or are yet to make the transition from wooden pallets, we have complied answers to questions that we know can help you through the decision making process. If your question is more specific you can contact us by emailing [email protected] or calling us on +44 (0)1323 744057. 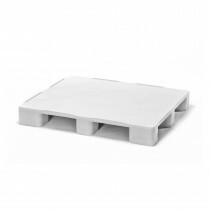 Do you have a question about plastic pallets? We may have the answer! Plastic pallets are a sustainable and environmentally friendly alternative to wooden pallets, which are an essential part of the supply chain process used in the storage and transportation of goods. There are many reasons why you can benefit from using plastic pallets over wooden pallets. For more information on how you can benefit from plastic pallets in your supply chain visit our page about the benefits of plastic pallets. How much do plastic pallets cost? 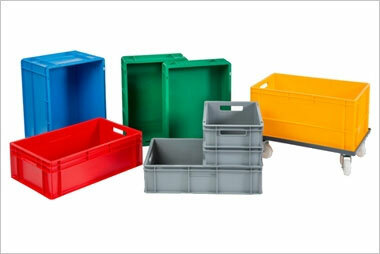 Our extensive range of plastic pallets are suitable for all types of application and vary in pricing depending on your requirements. To discuss your needs and to obtain a quote visit our online request form or call our team today on +44 (0)1323 744057 or email [email protected]. 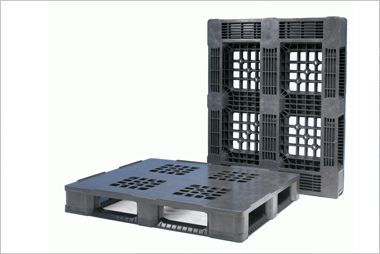 What are the dimensions of a standard UK plastic pallet? The standard size of a UK Plastic Pallet is 1200mm x 1000mm. However we offer plastic pallets that are as small as 400mm x 300mm which are designed for point of sale display positioning and could be as large as our 1400mm x 1400mm nestable skid pallets designed specifically for bulk transportation. 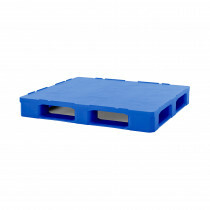 Take a look at our Plastic Pallets by Size. Can plastic pallets be recycled? YES! When the plastic pallet reaches the end of its working life, it can be collected or sent back to us at Go Plastic Pallets. We then return them to our factory in Belgium, where they are ground into plastic pellet granules. 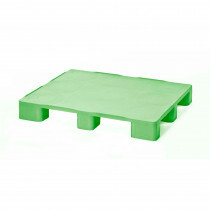 They are then formed into new sustainable plastic pallets. 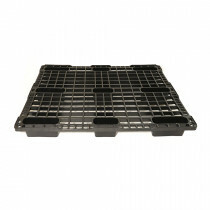 We guarantee to take full responsibility for recycling the plastic pallets and boxes we supply. To find out more about our plastic pallet recycling and corporate responsibility, take a look at Our Responsibility Policy. What are the different types of plastic pallet? 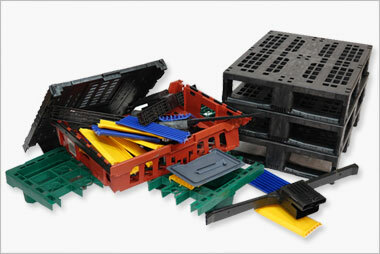 There are over 160 different types of plastic pallets available in our range suitable for a wide range of applications. 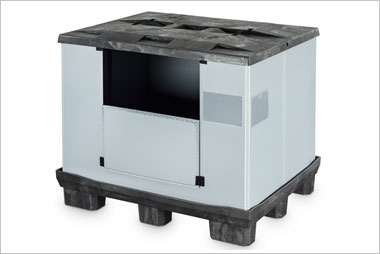 These vary from lightweight and one-trip pallets to nestable, export, euro and hygienic plastic pallets. What sizes do plastic pallets come in? Our catalogue of durable pallets ranges from nestable display pallets with dimensions of 400mm x 300mm to the 1400mm x 1400mm sized pallet designed to aid in the transportation of extra large packages. 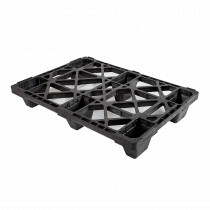 Not sure of the size of plastic pallet you need? Not a problem; simple call us on +44 (0)1323 744057, email [email protected] or fill in our online request a quote form. Why should I switch to plastic pallets? Switching to Plastic Pallets not only reduces the impact on our environment but reduces operating costs due to space saving potential to distributors. To understand more about the benefits of plastic pallets and why you should switch away from wooden pallets to be more environmentally responsible take a look at Our Responsibility Policy. 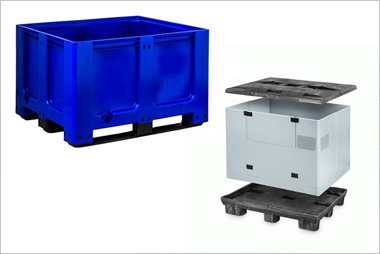 Why are plastic pallets more cost effective? 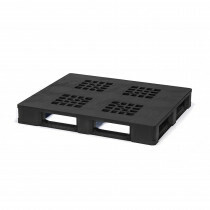 Our range of Plastic Pallets offer a high level of durability, especially when compared to their wooden counterparts. Plastic pallets can last up to 10 years and as such the cost per use decreases and increases efficiency, therefore saving you money and hassle! Why do plastic pallets last longer than wooden pallets? The lifespan of a plastic pallet is longer than a wooden pallet alternative as they are less likely to require maintenance, are easier to clean and less susceptible to material degradation. Plastic pallets don't splinter and can be used time and time again. To understand more about wood vs plastic pallet take a look at our 'Leave the wood. Go plastic.' campaign. What is the difference between static and dynamic load? A static load is a weight placed upon a pallet and kept at rest whilst a dynamic load is a loaded pallet that is in motion. This helps to understand what weight a pallet can bear whilst being used for storage in a warehouse and being used in the transportation of goods. What is the most suitable plastic pallet for my application? For more advice on selecting the correct plastic pallet for your application take a look at our Buyers Guide. Alternatively please call our specialist team on +44 (0)1323 744057 , email [email protected] or fill in our online request a quote form.